This elusive single sold on eBay August 27, 2009 for $228. 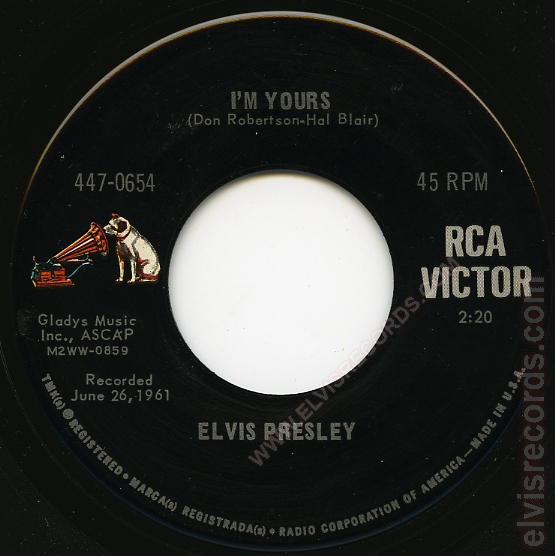 This elusive single sold on eBay March 9, 2014 for $45. Originally released by RCA Records on as I'm Yours / (It's a) Long Lonely Highway.